Deficit Deadlift is a great compound exercise for building your entire back, traps, shoulders, hips, legs, gluteus and forearms. This exercise also engages your core muscles to stabilise and support the lower back. Deficit Deadlift can improve your overall back strength but it is valuable in developing flexibility in your hip, lower back glutes and hamstrings. 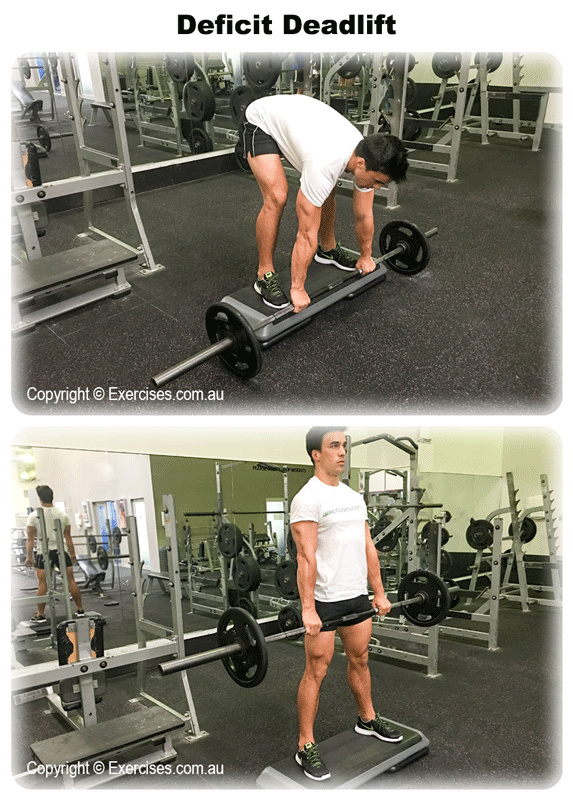 If this is your first time doing Deficit Deadlifts, start out with a 3 cm block or platform. Make sure the platform is very stable. Assume the bottom position of the regular Deadlift; hip width stance, take an overhand grip on the bar just outside your thighs, knees bent with hips lower than the shoulders and the bar directly in line with your shoulders. Keep an arch on your lower back throughout the exercise. Take a deep breath and exhale; lower your glutes with your shoulders going slightly behind the bar. Keep your arms perfectly straight. Push your heels hard through the platform, extend your knees then your hips. As the bar moves above knee level, push your hips forward and straighten out your upper body. Do not lock out your knees at the top position. Hold the top position for a count of “one” and get a good stretch on your traps and shoulders. Bend at the hips then your knees. 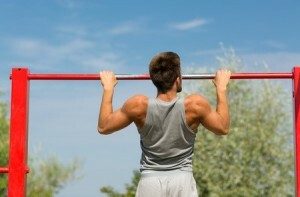 Control the weight as you bring the barbell back to starting position. When the barbell is back on the ground, reset your position and start Deficit Deadlift again. Deficit Deadlift places tremendous forces on your hips. If you cannot lower your hips below shoulder level comfortably, work on your hip, lower back and hamstring flexibility first. 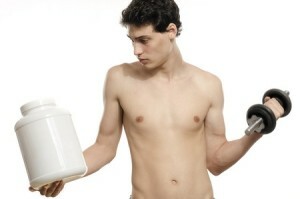 Do not attempt heavy weight or use high reps for this exercise. 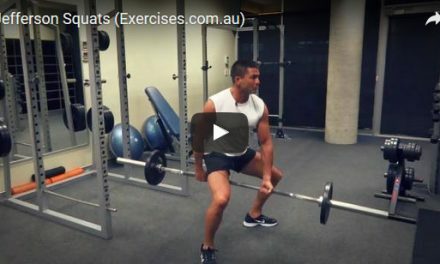 With Deficit Deadlift it is always better to focus on form and technique.